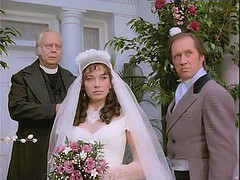 In America the last episode with Lesley-Anne Down (Jackie) aired! Fans are so sad including me!!! In sweden we have some more episodes with her to enjoy! If you wanna read why it's the LAST with LAD let me know i have details! Happy Birthday to Gea the runner or LesleyAnneDown.Com! 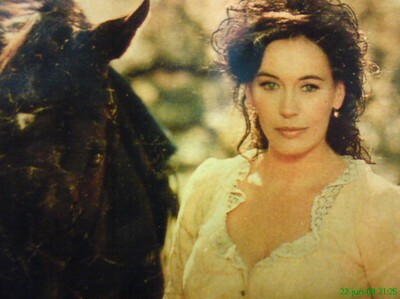 A very happy birthday to Gea Vermeulen the President of The Official Lesley-Anne Down page and FanClub! 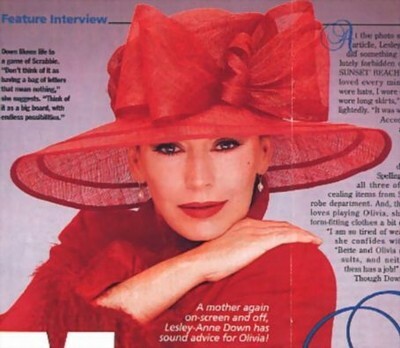 Articles from Australian Soap magasine! 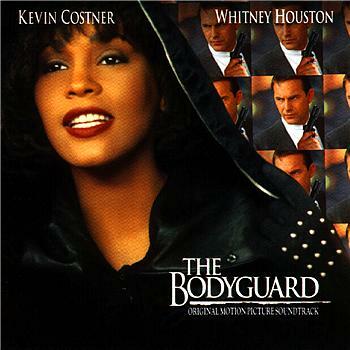 The making of a famous face & a paper doll! 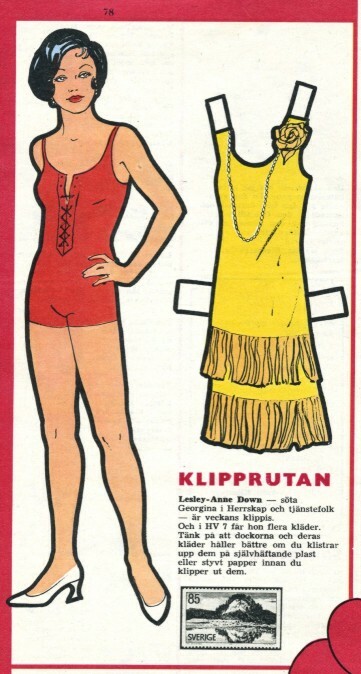 I have this paperdoll with Lesley-Anne Down as Georgina Worsley! Very beautiful! Hello everyone, thank you all for visiting even tho the blog was down for a week! Now it's back! I just got home, very tired so i will only give you some articles i found through Team_LAD, Vali and Gea before i will go to bed, will tell you more about the trip later next week! 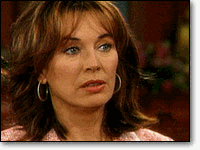 Also wow so many are so upset over all the kicks of all great actors from B&B what is going on???? The creator of the show, magasines, the net everyone dealing with this have gotten bunch of complains from all the viewers and fans, their plan was to get more young viewers, what they did was loose all the old... and no new viewers....wich end up in no viewers at all! 4 have been kicked of the show over just 3 weeks?! 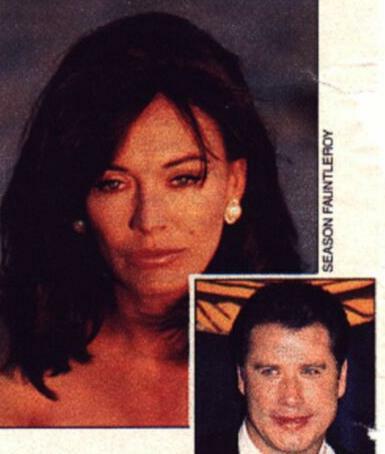 Jackie (Lesley-Anne Down), Owen (Brandon Beemer), Nick (Jack Wagner), Bridget (Ashley Jones) but she left earlier... why they are kicked read about that earlier on my blog, it's not cuz of their talent! But as so many have said, it's not a problem for Lesley-Anne to join another show, she is very talented and many have asked for her to join their films and soaps, it's Lesley-Anne that has turned the roles down....But now she finally can use her talent into something even better, when she finally has the time to join something new, but one thing for all to remember, NO B&B without Lesley-Anne Down (Jackie) So all LesleyAnneDownfans have just left the show! Bradley Bell you did great huh? Blog is currently down! Time 4 trip goodbye sweeties! Time to go...Will visit Uppsala, meet two people that also loves buses like i do, will be fun have only met one of them before! Then i will sleep over at my friends house before we leave tomorrow morning! Hope i have my legs and arms left after the trip! Anyway i thought i should share some photos since i got tweets and E-mails from fans wishing me to upload a bunch of photos before leaving! Much of them i've shared back in time! Hope u all like them! Byebye! Blog is currently down! Blog is temporarily closed down .. Will be away next week,probably without internet, I would like to thank all followers for your kind words and your visit! without you, my blog would not exist! I will be back online with photos and stories week 9! 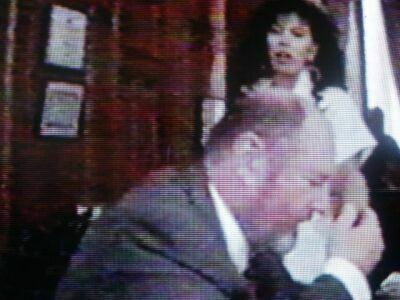 I got tradgic news yesterday that made me shake for hours! My sweet friend gave birth to a beautiful boy three weeks ago, the boy died on Valentineday, every since i heard the news, i have thought about it ever second,,, it's so tradgic can't find words for it! My thoguhts goes to the parents! They have been waiting for this for 9 happy months, it was like the best thing that had ever happen to both of them in a very long time, and then this? 3 weeks is not even a life! So untrue to watch all photos and realize we never had the chance to even see him grow up! I followed the babystroy from begin til end...I have so few friends that have babys so this was kind of the first i was totally involved with! 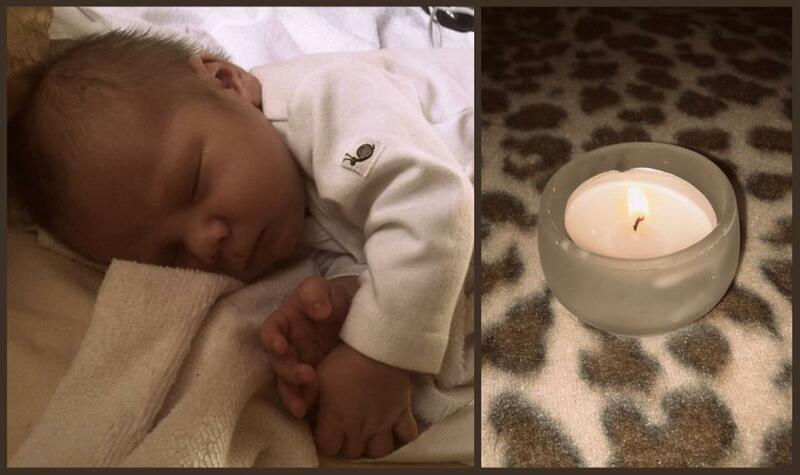 Rest in peace Maxemilland only three weeks old! ='( :'( It was not my baby but the way the whole story went i can't get it out of my head! It makes me so sad, 2 death in one month one left it always comes in three... Anyway i think it's for the best the blog is down for a week i have to feel better again after all tradgic news from everyone latly, i have some very good news too but i share them when i'm better! Have a great time! Will miss you all but one week is not long right? ;) anyway i will be on twitter at nights: @Rebeccajohansso follow me there! Rest in peace Maxemillian we will miss you!!! And thoughts for L & M!!! 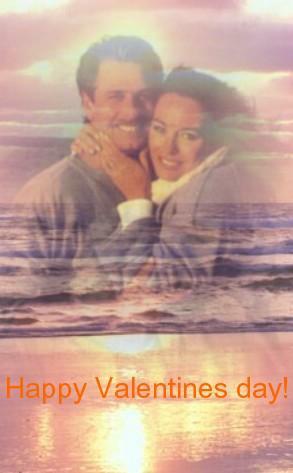 Happy Valentines day to Lesley-Anne Down and all her fans! 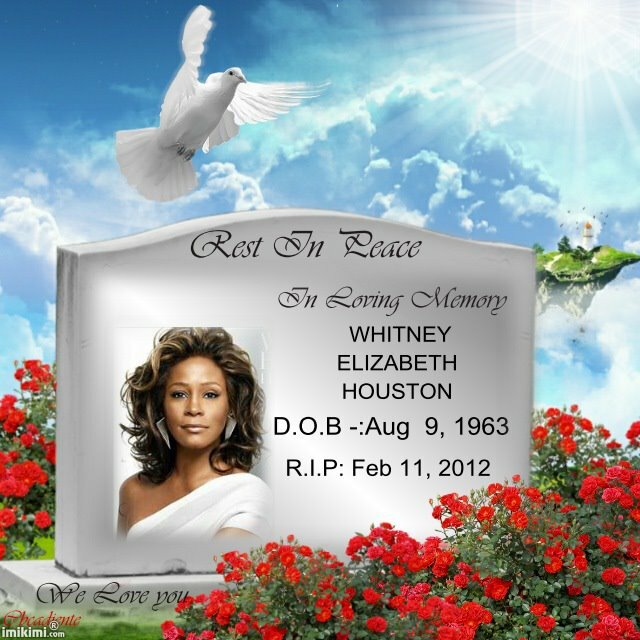 R.I.P Whitney Huoston! 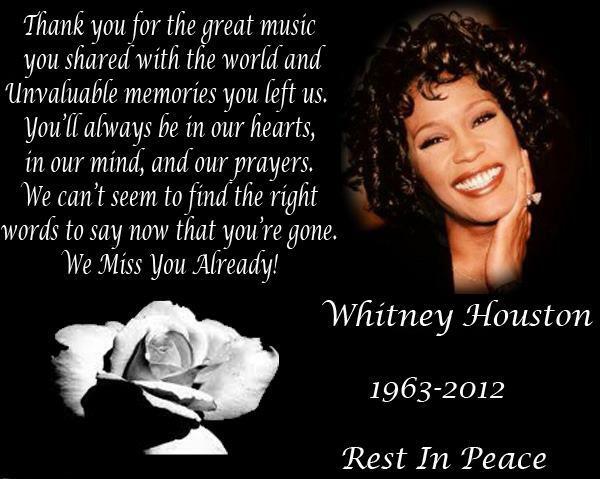 All my thoughts 2 her family and friends! The first thing in the morning was the tradgic devastating news about our lovely Whintey Huoston and for me it feels even more close since mother and i some years ago was going to see her live but never did something came up!! 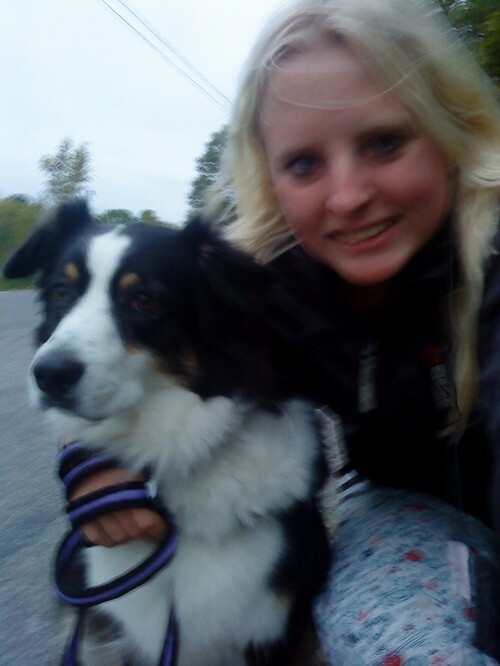 Will miss her! 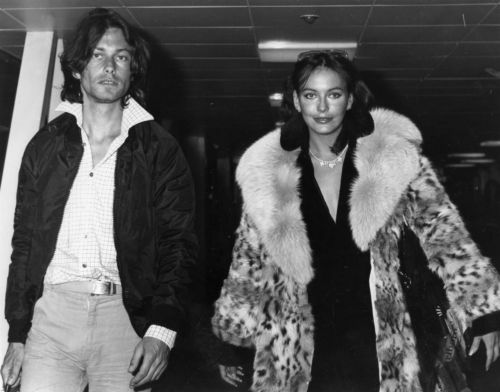 Hello everyone, the LesleyAnneDownblogg takes weekend! Have an amazing weekend! I will go to Gävle through Uppsala tomorrow and proberly be there all weekend! Shall i take my helmet with?! No lot's of fun this weekend tooo! Last time i had an amazing time on a cruise with my friends! I was like OMG, you are lying!!! 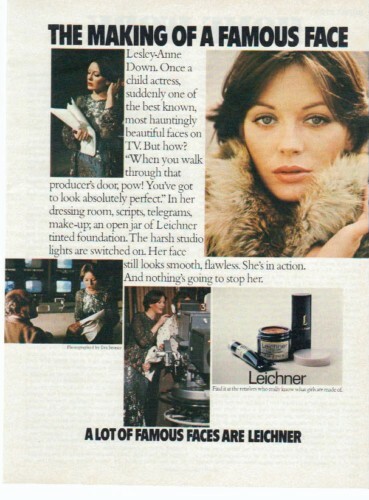 But when i came home i had a letter from Lesley-Anne, of course it was allready opend because my family couldn't keep their hands of it when they saw the address it came from lol! Anyway i opend the letter and got this lovely photo, i saw it was black and white but said like 100 times to myself, this is a true autograph, my mind wanted it so badly to be real! 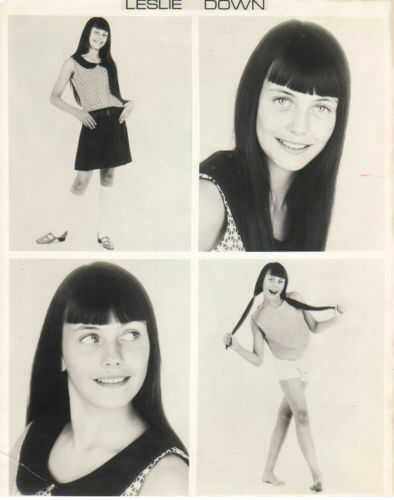 But then one week went and i got two more letters from Lesley-Anne and it was two more of this photo and they all was ecaxtly the same...they were all copys from the real....I was happy for the photos cuz at the time i didn't own any photo at all or autograph from her! 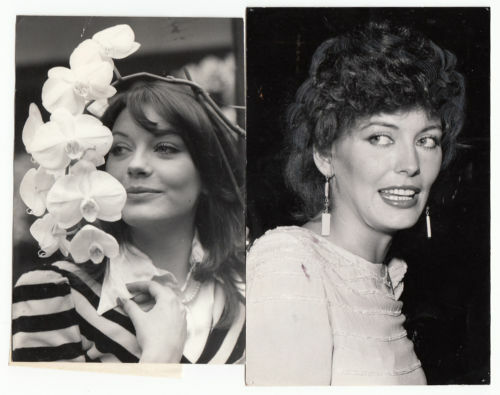 Until one day when i was much older i joined Lesley-Anne Down Fan Club and got real photos with real autographs! WOW they were all different and so much more real, but i love all my photos with LAD even those here, actually this photo is one of the most beautiful i've ever own!! 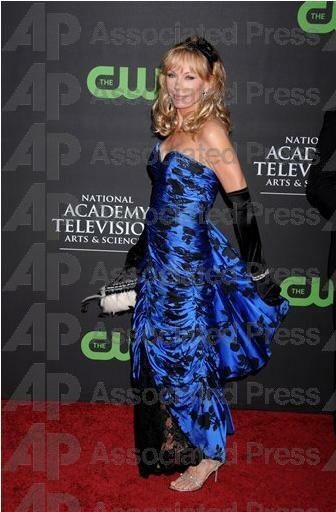 Her hair iS perfect and she looks amazing! 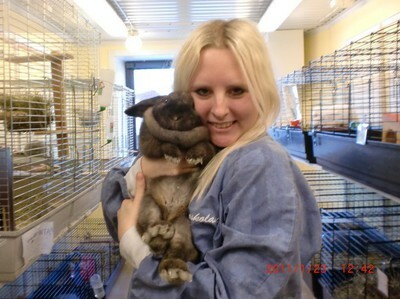 Hi all, today we went to Natural History National Museum in Stockholm with Väddö college! We looked at several exhibitions of animals, body, man and various natural! Body exhibit is my favorite, you walk through a big mouth on a man and then you come to mass body parts with fun games and exercises, you can take blood pressure, you get to test witness an assault, and then testify, then you get to test your hearing, smell, sight and touch, so cool all, and I love the body and such, they had a big heart who was in the room very cool!! have been there when I was little and have missed it and today i finally saw the room again!!! they also have a small dark room that you go through without see something and feel the walls of different things, i have never been afraid walking thorugh that room or been firghtned to the things i feel on the wall, but today, my mind shocked me a bit...I've been scared since an incident I experienced outdoors in the dark, so even though I already knew about the room and there was nothing scary in there so congealed blood of horror and I panicked to be in there and felt like an eternity to come out....even if it only took a minute to get out of there... I must face my fear of darkness and what may be in it .... SHall i see a shrink for that lol? Anyway now i'm back home and the dog is watching every move i take, dreaming of attention from me, so tomorrow i will be with her the whole day when i'm home off from study! also i will go and swim! 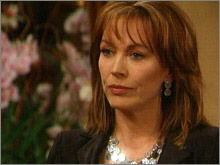 News about Lesley-Anne Down: i don't have any...Keep support her that's all i have to say! Keep join my group u can find the link earlier on the blog and sign the petition and go visit LesleyAnneDown.com for more info how to help us save LAD from this! 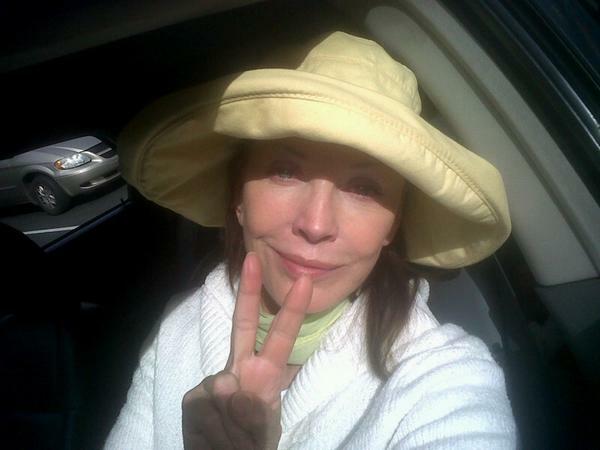 Lesley-Anne Down is so sweet to all her fans! 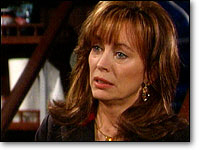 if there was a prize for best caring actress she would definitly win it!!! I was suppose to Watch Rosewood Lane now that my brother gave me but i see it in the morning instead, to tired! Goodnight everyone more from The Bold And The Beautiful will come tomorrow, have to go to sleep now, early morning tomorrow to Stockholm with Väddö Folkhögskola! We will watch a movie and and watch a lot of exhibitions at the museum! Will be fun i think... I have not done so much today! Goodnight! I'm sad can't tell u what it is, but i'm very sad! Had a great day but at the end horrible news came to me, but that's all i can say! How has your day been? I went to Uppsala today for job and a meet with my friend! Had a great time! also my favouritebus came that i have been running for the whole summer lol! Very cold in sweden still, but Uppsala did now have as much snow as Norrtälje, looked like summer with coldness in Uppsala! WEIRD! Now i am going to sleep or something take care everyone! Also this is one of my bad days again with the headache from accident, i always knows when it's from the accident, it's way much stronger than the usual! Some Articles for you to read...This two articles have ALWAYS been my favourites! 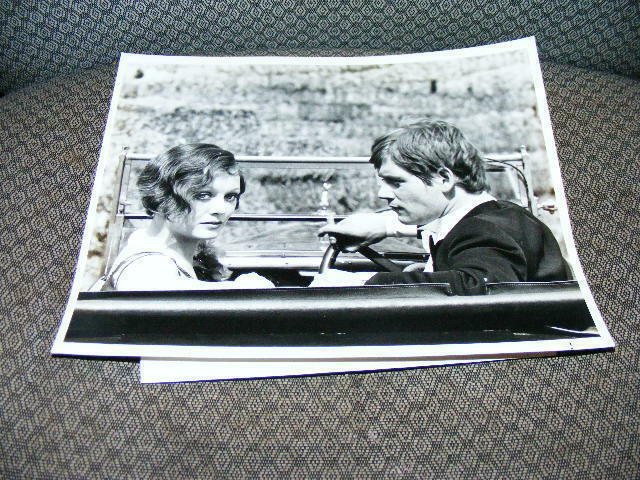 Is'nt this perfect the same week as my birhtday i win this lovely show by John Jakes "North And South" Thank You Team_LAD! 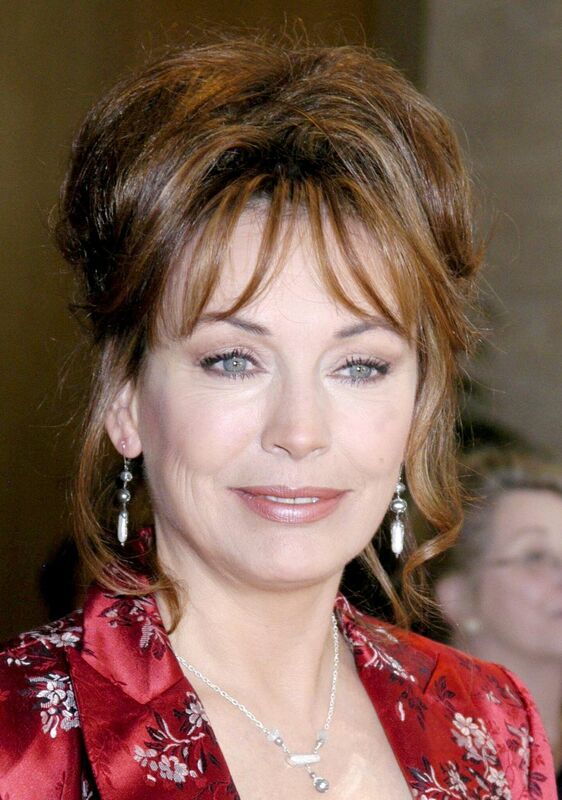 And when i mention Team_LAD i want to ask you all to follow TEAM_LAD on twitter to support Lesley-Anne Down! We all wants to belong!! Follow RebeccaJohansso (me) and Team_LAD on twitter! I think this week is just great! 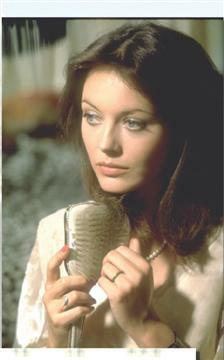 * On my birthday Lesley-Anne wrote me, she really cares for everyone of her fans! * And then i got the news i'm one of the 5 winner of the contest by Lesley&Gea for signed photo after describing the best scene from The Bold And The Beautiful, wonder who the other lucky winners are... Gosh i'm so happy that i won that conest!!! 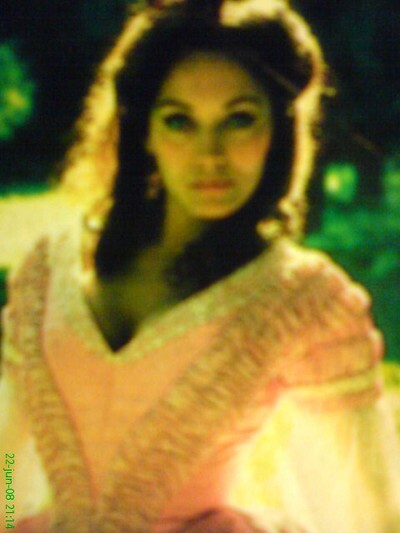 * Then i also got my birthdaycard from Gea & Lesley-Anne Down with the winningphoto! So beautiful birthdaycard as ALWAYS!!! 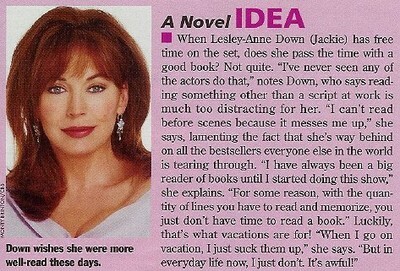 Join Lesley-Anne Down Fan Club!!! For info contact me... and i LOVED the winningphoto!! * And yesterday i won North and South Book 2, last weeks giveaway thorugh Team_LAD! Lovely! I never, ever saw this clip, no one ever gave it to me lol, asked around, but now i have and it's so sad! is anything harder than goodbyes? 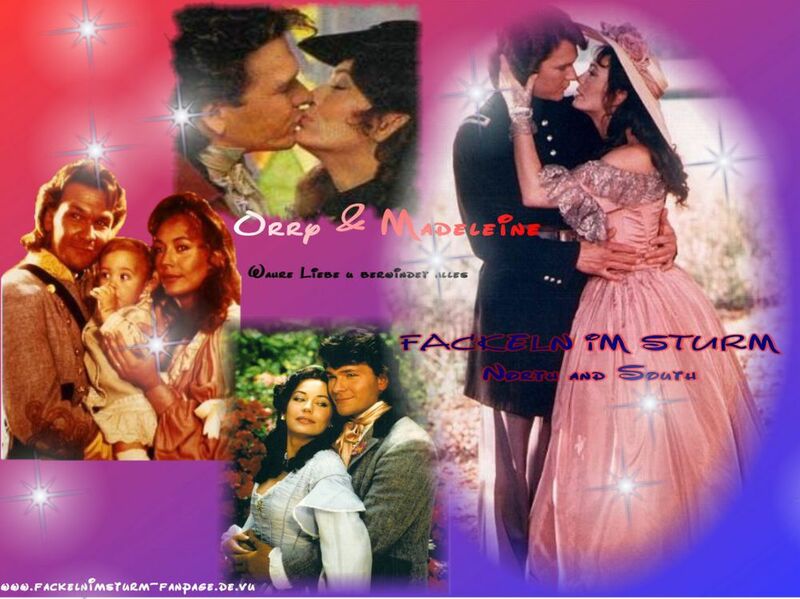 I love the scene where Owen remembers the moments they shared together....with the sad but beautiful music.....its beautiful but tradgic!!! A beautiful goodbye! 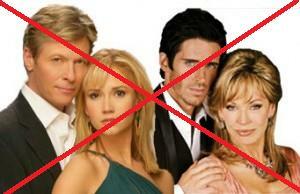 Bring Lesley-Anne Down, Jack Wagner, Brandon Beemer back 2 the show!!! I wanna thank you ALL for the sweetest birthdaymessages! MADE MY DAY!!!!!!!!!!!!!!!!!!!!!!!!!!!!!!!!!!!!!!! 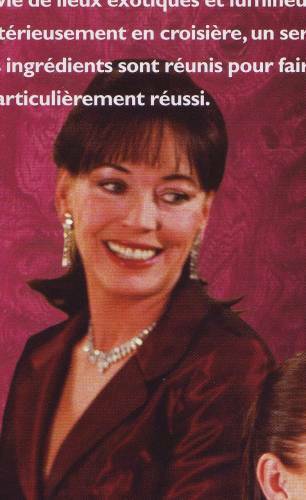 Also Lesley-Anne Down wrote Happy Birhtday to me, she really is the sweetest! 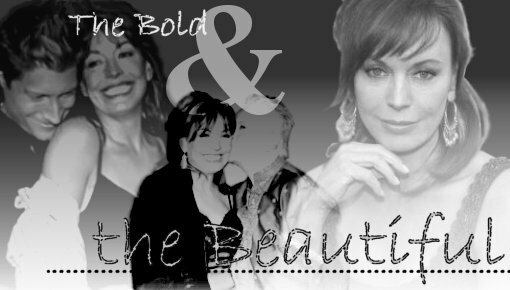 Keep support her the best you can, she really needs all support she can get right now, they kicked the whole family "Marones" on The Bold And The beautiful to hire younger characters, they think more young viewers will come, they are wrong, Bradley Bell is WRONG, they will loose all old viewers and not get new, you see we from 1900 we like action in doing not talking, thats what Bradley Bell forgot to think about! also more BBcharacters will keep get fired all to get new viewers, doesn't matter if the older characters and actors/actresses are the most famous or talented they have to kick them anyway to get younger viewers! 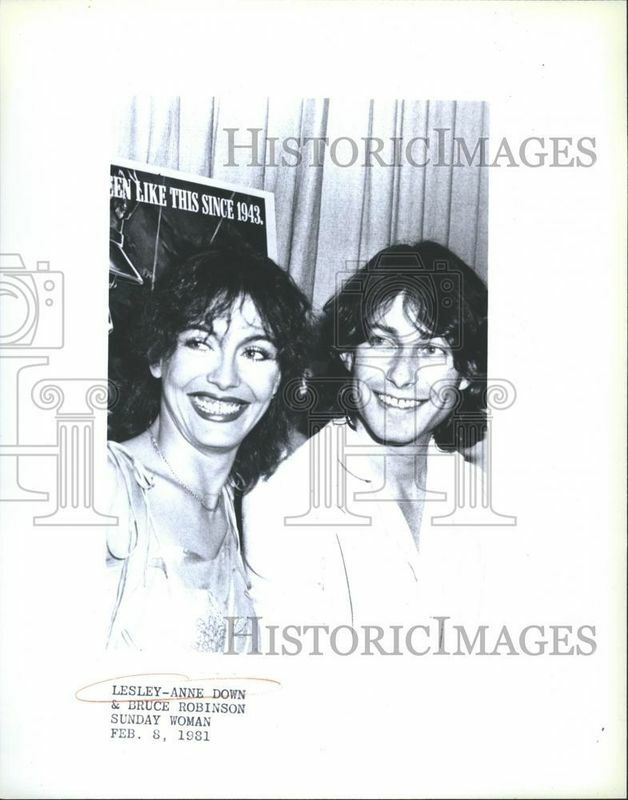 Jack Wagner, Lesley-Anne Down, Ashley Jones and Brandom Beemer they were all GREAT and very appreciated by all the fans and BB but BB still thinks that if they fire those and get young new, it will get even more popular hahaha! 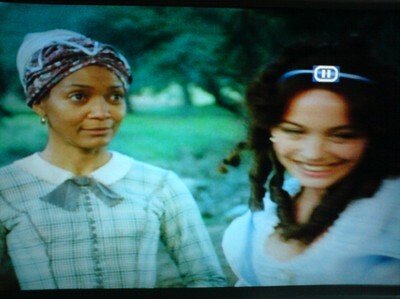 Makes me wanna laugh a bit....why was BB in Guines World Record book when they had all those actors still in the show? BECAUSE THEY WERE GREAT!!! people wanted to watch, Now they will loose all their oldies day after day, year after year! 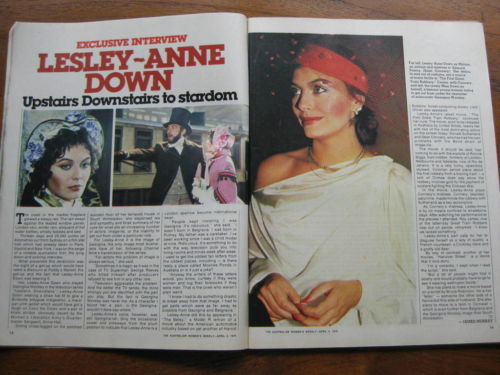 The first released clips with Lesley-Anne Down from movie by Victor Salva "Rosewood Lane"
And here is some amazing photos avaible for purchase ebay! 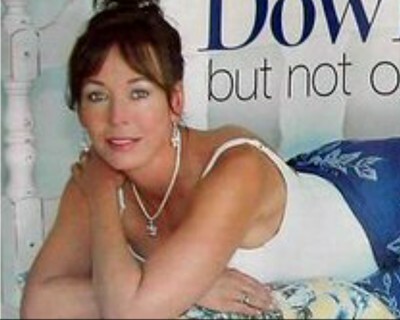 The one and only Lesley-Anne Down, this is still the most beautiful photo ever taken of LAD in history! 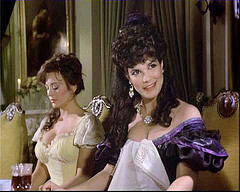 Today it should be about Lesley-Anne Down, but still it's more about me, because it's my birthday, so please pay some more attention for me lol! x) Thank you all for following, will try update more soon! I hope for a great birthday with my family and friends and of course all my pets! Love you! My friend Jordon made this for me a couple of years ago, love it!